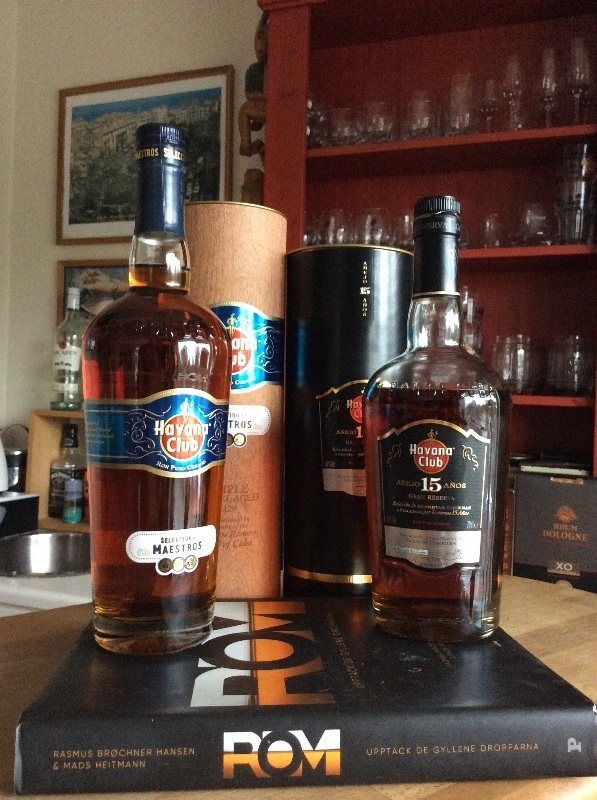 Have you found an online vendor selling Havana Club 15-Year? Quite a spicy rum with an extremely long finish. I got butterscotch and a slightly oaky flavors. There was a hint of sweetness, maybe could have used more. Not an overly complex rum - for 15 years I was looking for a few more subtleties. I had it after dinner in Havana. Served in a huge, Cognac-type, balloon glass. Neat, of course. And accompanied by a smooth Cohiba cigar (even though I normally don't smoke). I had a fantastic opportunity to taste 4 different Havana Clubs in Cuba. I have always been a fan of the 7 years old one. Here is a summary of all the four. No too sweet, nice round taste, maybe little alcohol taste. Rum has 45% of alcohol so a small drop of water helps. Lot of fruits and some spice. More balanced and deeper in flavour than Seleccio de Maestros. Again, this might have something to do with Seleccios higher alcohol level. Flavours like apple, honey and spices. A collaboration between Havana Club and Chiba Cigars. You could actually say that nose and flavour has some tobacco and smoke in it. Maybe more sweet than other Havana Club products. For me the 2nd best so far. Souvent mal comprise, la maison Havana Club produit des rhums de très grande qualités qui diffèrent de la plupart des grandes maisons commerciales. Sans grosse melasse ou saveurs ajoutées, le Havana club 15 ans n'a rien à envier à ses cousins "pimpé" des Caraïbes. Raisins sec, petits fruits au nez. Caramel salé, fût de chêne, petite note de porto en bouche. D'une grande élégance malgré qu'on en demande un peu trop cher pour avoir le plaisir de le déguster. It’s good but not exceptional in any way. Quite weak nose and afterburn. It got it’s rating because of the smooth and quite complex taste in mouth. So I’m not sure it’s pricewhorty. I will buy me Bottles of Seleccion the Maestros and Union in near future and compere them. Now I have tasted the Seleccion de Maestros and I must say that the 15yo is not really pricewhorty to a price three doubled the SdM. It’s of course better cause it’s smoother and doesn’t taste as much alcohol as the SdM. So I won’t change my rating. I will in a short time compere it with the Union. Picture: My Havana Club shelf. Prijzige, maar zeer smaakvolle rum. Lichte smaken van gedroogd fruit, rozijnen, kruiden en chocolade. Iets aan de scherpe kant maar toch ook heerlijk zacht. Naar mijn idee een topper! Sherry nose and smooth wooden barrel, a hint of smoke after careful examination. Also dry. Quality product. Good taste and aroma. Seleccion de Maestros is woth a try too. Smakte denne på Cuba første gangen. Et hakk bedre balansert og en del rundere enn lillebror seleccion de maestros. Helt klart en av favorittene. Nice colour, touch sharp on the touge with a sharp nose with a smell of light brown suger, sweet on the tip of the tongue, a little Oaky. Overall nice taste . Top notch stuff. A cognac like rum with notes of vanilla, prunes, raisins, caramel. Si bien su precio es difícil de pagar, es un placer haber probado este ron. Seco pero permite saborearse bien. Es curioso porqué muestra el añejamiento más bajo (es 15 años porque contiene mezclas de 15 años para arriba) por eso da la sensación de estar comprando un ron muy caro pero lo que se está tomando es realmente valioso. Fruchtiges Aroma welches sich im Gaumen durchsetzt. Dort ist er zunächst mit Aromen von Honig und getrockneten Pflaumen präsent, anschliessend folgen Noten von Bananen, Birnen und getrocknete Feigen. Good sipper, doesn't mix well. Smooth but still offers up a little burn. Overpriced for what it is. A pesar que este ron cuenta con un llamativo color, y un buen aroma, al probarlo a mi parecer es un ron simple sin sabores trabajados, si bien no es un ron netamente seco. Es a mi parecer un ron soso, que no equivale lo que cuesta. Strong and bold, a little rough. Goes great with a cigar, and I am not a smoker. had several glasses but could not bring myself to spend the money for a bottle. 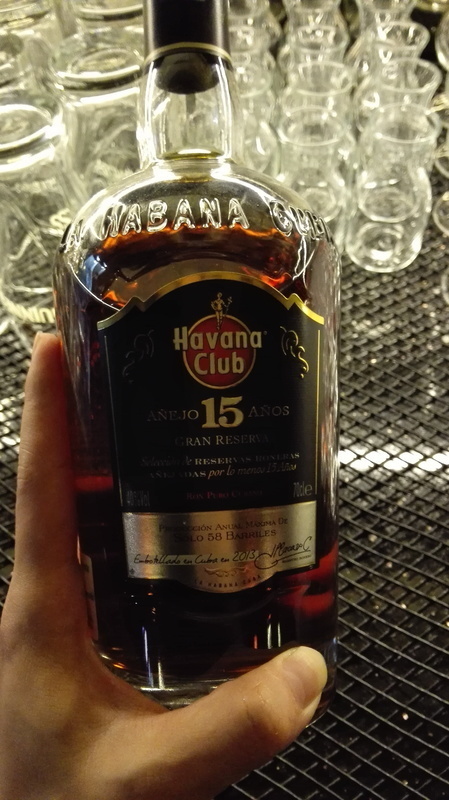 Havana Club 15 year is available from most airport tax free shops and makes a pretty decent buy, but the flavor profile is not really bringing out any clear flavors, but the experience is a mixture of a lot of flavors. The most disappointing fact is a very strong afterburn, which shouldn't be there for such a classy manufacturer of aged rums. 15 year is more expensive than the Seleccion de Maestros and has a stronger burn at the end. Paired this with a Montecristo Edmundo and has been on the shelf for a few years before opening it up for the first time. Excellent rum- just a top shelf Cuban rum. It has more "bite" than the top of the list Santiago de Cuba (25 and 20 year olds) but its unique taste gives it a big thumbs up. Always take my rum neat. Rich taste and relatively strong due to alch content but very well balanced. It is a bit "peppery" and stays on the tongue and palate but subtle. Fragrant of dried coconut candy (which we complement with all serving rums) and dried raisins with a hint of cinnamon. Taste of fresh sugar cane juice and tangy-ness of unripe peach, buttery, toffee and slightly peppery. Medium finishing with buttery and nutty cashew nuts lingering towards to end.